The new facility returns an America’s Cup team to Rhode Island, which has a rich history in the competition. 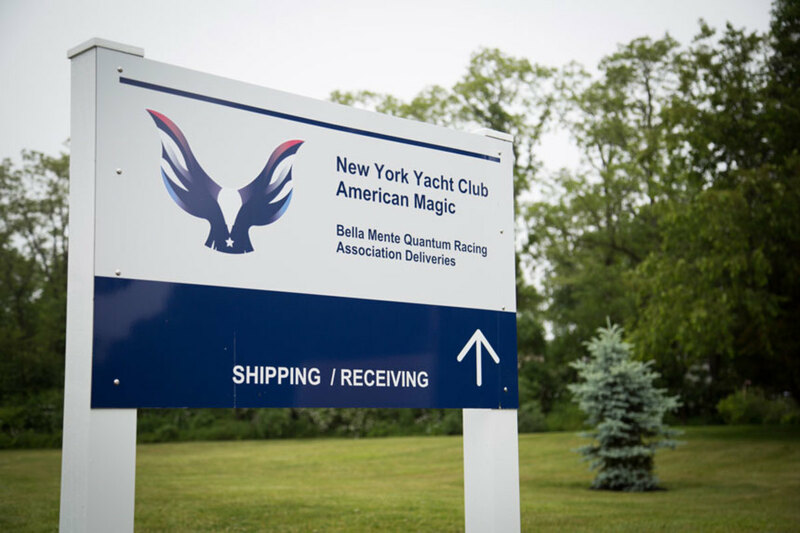 The New York Yacht Club’s American Magic, the U.S. challenger for the 36 America’s Cup, has opened a dedicated construction facility to build a pair of racing sailboats in Bristol, R.I. The return of an America’s Cup team to the state is expected to strengthen the local marine industry. “There is no better place to build world-class racing boats than in Rhode Island, with its unmatched marine industry, skilled workforce and rich America’s Cup heritage,” said Hap Fauth, team prinicipal and CEO of American Magic, in a statement. To date, Fauth has built two racing yachts in the state at New England Boatworks in Portsmouth. A third boat that shares the name Bella Mente with its predecessors, is currently under construction at NEB. “Rhode Island has long been a global center of composite technology innovation, and our new America’s Cup team is pleased to add an amazing legacy that began well over a century ago,” said Fauth. The America’s Cup competition will be held in March 2021 in Auckland, New Zealand. The U.S. team will campaign two AC75 class boats, a new design for the event. The boats are 75-foot monohull sailing vessels that use hydrofoils to sail above the water. Each team will be allowed to construction two AC75s prior to the competition. The boats will race with a crew of 11 sailors each. In addition to Fauth, the New York Yacht Club contingent includes team principals Doug DeVos of Grand Rapids, Mich., Roger Penske of Bloomfield Hills, Mich., and executive director and skipper Terry Hutchinson of Annapolis. The current title holders are the Royal New Zealand Yacht Squadron and its defending team, Emirates Team New Zealand. Teams from Italy and Great Britain have also formally announced challenges.